At Proclaim 2013, a True Voices TV annual event held on July 27 at New York City’s Calvary Baptist Church to showcase the poetic voices of young poets from the NY/NJ area, guests were not just tickled by word play and rhyme, their souls were stirred by the profound messages of tragedy, triumph and salvation. 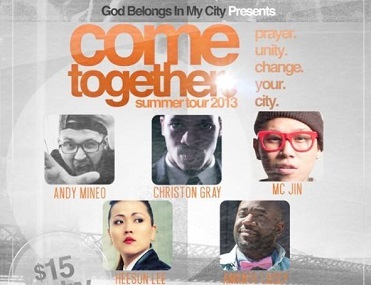 This summer, the God Belongs in My City hosts a 7-city concert tour featuring urban gospel and hip hop artists Andy Mineo, Heesun Lee, KJ52, Skrip, Amante Lacey, MC Jin, Christon Gray, Anthony & The Roar, Social Club, Propaganda and KB. So, what’s the big deal about being unequally yoked anyway? Let's learn a bit from the relationship of Toby and Nikki on Switched at Birth. As the two get closer to marriage, their faith differences become harder to bear. Isn't love anything but ordinary? 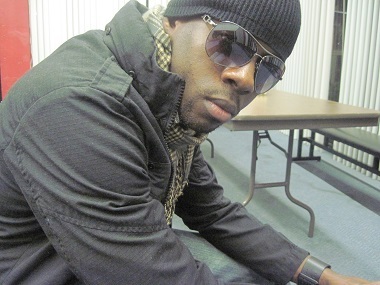 Well, South Florida's dancehall reggae artist Ordinary proves that statement to be oh-so-wrong! Music critic and columnist Billy Delgado dishes about Ordinary's newest 2-disc album Love and Relationships. 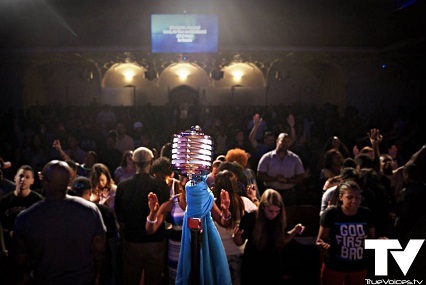 The Cross and The Switchblade, the autobiography of urban missionary and pastor David Wilkerson, made its way from paperback to film screens in 1970, and most recently last month, to the stage at the former Mark Hellinger Theatre now Times Square church in New York City. Columnist Shari Grant shares her thoughts on the new dramatic novel by author K.D. Smith, Crystal Stairs. With a message of forgiveness preceded by trauma and trial, you may want to add it to your month's book list. Feature writer Andre Barracks reviews the new TLC program Sisterhood, boasting the behind-the-scenes life of the supposed "first lady" also known as the preacher's wife. 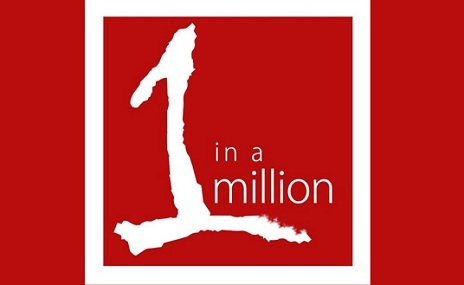 One in a Million, an off-Broadway musical, held at the Roy Arias Studios & Theaters in Times Square on December 8, encompassed the teachings that the apostle Paul instructed to Timothy about wealth. New Life Apostolic Church in Queens, NY presents a musical from Dec. 21-23 that puts a spin on Charles Dickens classic novel A Christmas Carol by painting Ebenezer Scrooge as a backsliding Christian. 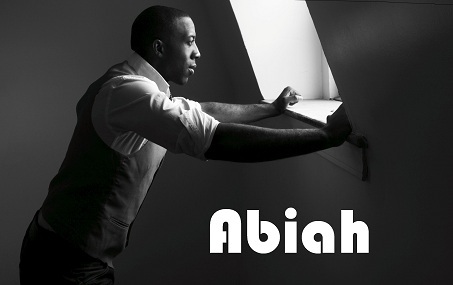 Abiah, formerly known as Jeremiah Abiah, released his latest music project Life as a Ballad two months ago. For columnist Billy Delgado, it brings two words to mind: Starbucks and Honeymoons.